Once you’ve applied, you’ll have a myGAV account login. This is your online portal for 24/7 access to class registration, student records, financial aid, and other services. To be eligible for any financial aid or scholarships, you must complete the online FAFSA application. Eligible nonresident AB 540 students may submit the California Dream Act application. All incoming students must take assessment tests to determine the best course placement. You can sign up for a test date online. 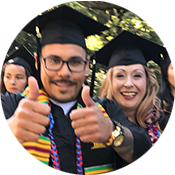 Orientation is required for students who have never attended college and recommended for all new Gavilan students. If you are a first-time college student, you must enroll in the 0.5 unit New Student Seminar (Guid 210 or Guid 6) during your first semester. We highly recommend scheduling an appointment with a Counselor to develop your Educational Plan and address any questions you might have. 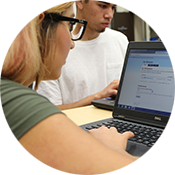 Sign up for classes online through your myGAV account. Be sure you pay registration fees before the deadline to avoid being dropped from your classes!